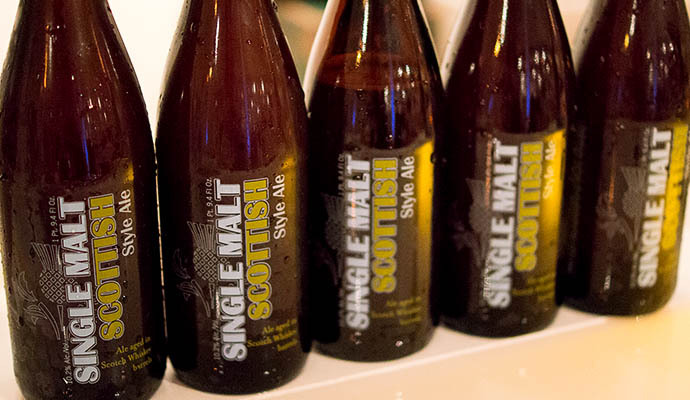 Brewed as a limited edition 21st anniversary beer, this ale from the St. Louis brewery was made from malted grains sown on the Scotland family farm of the cofounder’s wife. After brewing, the beer spends time aging in Highland scotch whisky barrels from Glen Garioch distillery. The result is a beer that tastes just like scotch and water, only drinks even more easily. For example, you would rarely pair actual scotch with cookies (we wouldn’t anyway), but this brew was a great accompaniment for the shortbread - refreshing and peaty at the same time. If we were vacationing in the Highlands, we’d probably take this pairing as a morning snack each day.